So you've (hopefully) read my gift lists but you might be wondering what books we would like to add to our collection. You may find what I'm about to say a little odd, and I guess it is but I can't lie... we don't buy books for BookBairn or The Wee Page Turner at Christmas. Ka-boom! Why not? Well, we get books all year round, so for Christmas we just don't. Even I think it's weird. 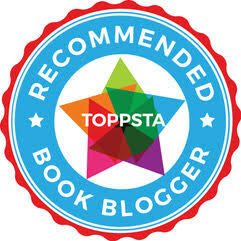 Does it make me a bad book blogger? I don't know. I digress. Anyway... here are some great books I've discovered this year but just haven't had a chance or the never-ending funds to buy. But they are wonderful and I wanted to share them with you. 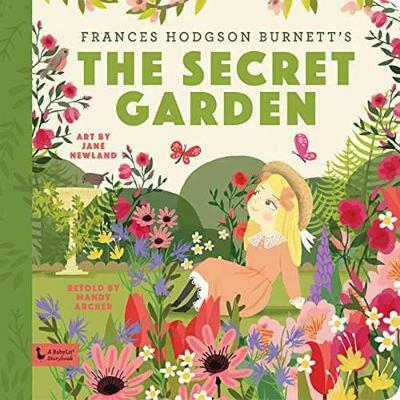 We really want to listen to the brilliant music accompanying this book! We have read the story when we borrowed it from a friend. 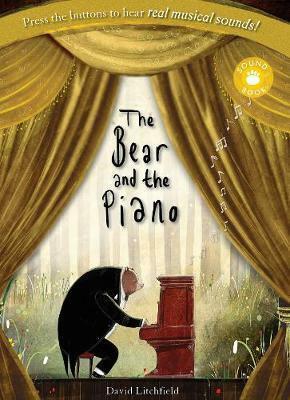 It tells the story of a little bear who stumbles upon a piano in the forest and he teaches himself to play. The bear is then 'discovered' and sets of on an incredible journey to New York, where he becomes a huge star. He becomes rich and famous but still something is missing. His friends and family. And I want to hear bear play! If you want to know more about this one check out Book Monster Ally's review on her blog here. Having flicked through this one in the bookshop it just seems so sweet! 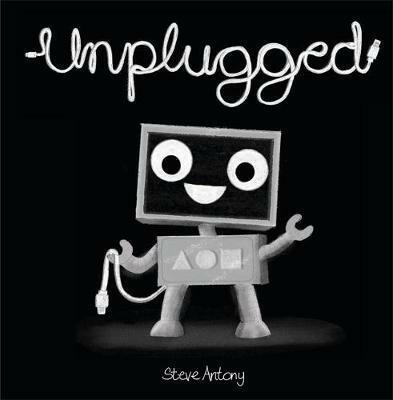 We love Please, Mr Panda so whenever a new Steve Antony book appears we can't wait to see it. I love the idea of a story about a character as cute as BLIP who spends all day plugged into her computer, playing games and having fun. But when there is a power cut, Blip discovers playing games and having fun outside. 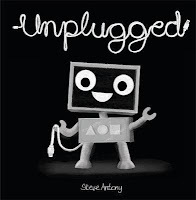 An important reminder to enjoy the unplugged things in life! Du iz tak? What is that? Aren't books that make grown-ups say silly things just great fun?! Little children just love bugs and have imaginations that create whole worlds for them! And of course, bugs can speak their own language. This book has me fascinated? What is it about? 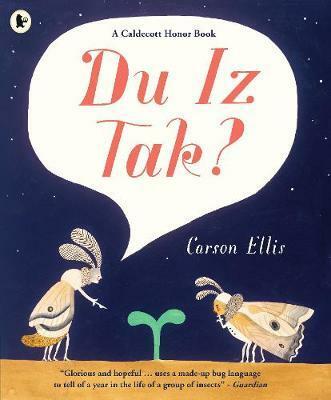 Will I be able to translate the bug language and understand the story? 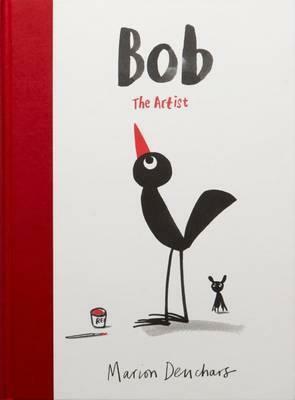 So many fellow picture book fanatics love it! So we really want to check it out! BookBairn has really enjoyed some of the books that allow her to act out the story so why wouldn't she want to make pancakes as she reads along!? 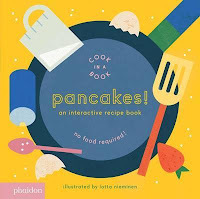 You can cook pancakes from scratch inside this interactive recipe book - readers whisk the eggs, flip the pancakes, and more! Using pull-tabs, wheels, and a punch-out piece, BookBairn will be able to join in the cooking. Cooking pancakes has never been so satisfying nor so clean! Sounds brilliant! And if we like this one I'll definitely be getting the pizza one too! I've heard a lot about Bob. Bob the bird is just like all his friends, apart from his skinny legs. When Bob is teased, he decides to try and change himself to fit in. But little does he know where all his efforts will lead him... Sounds like a great book for subtly building confidence of little ones. And I believe the artwork is brilliant and that readers will be inspired to make art as a form of self-expression too. I love books that encourage little ones to be themselves, if we can instill this while they are young then hopefully they will have the confidence to be themselves throughout their tween, teen and adult years too! The concept for this series of books has me absolutely enchanted. 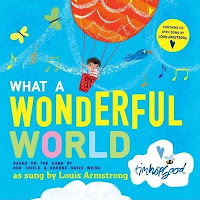 Take some of the most famous, beautiful and inspiring lyrics and turn them into an equally beautiful and inspiring picture book: yes please! And this one is top of my list because I love the song. It follows one little boy as he discovers just how wonderful this world of ours can be. 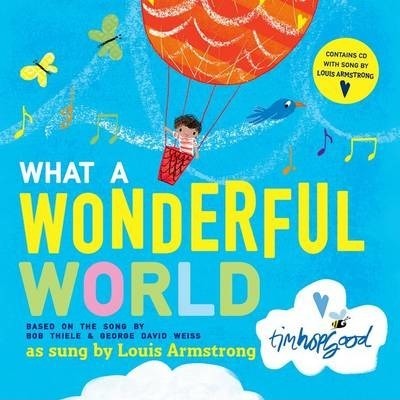 And I love that the book comes with an accompanying CD which includes the much-loved recording of the song by Louis Armstrong and an exclusive reading by Sophie Aldred because we love audiobooks at the moment but I would quite like to listen to some new ones as we listen to the same three or four on repeat. And it's always good to have a reminder of all the wonderful things in our world! Papa BookBairn is a retired physics teacher and he used to always give us a little science lesson with whatever new toys we got - whether it was gravity, the bernoulli effect, electricity. And I noticed him starting to show BookBairn about waves with her new slinky (as well as gravity) - "science in action" I overheard him tell her. So I thought he would get a kick out of reading this series, and in particular this book, with The Wee Page Turner. Described as "big, brainy science for the littlest listeners. Accurate enough to satisfy an expert, yet simple enough for baby" I knew he would love it. This one it all about Schrodinger's cat and is told through a hide-and-seek style game. And I think it wouldn't do me any harm to brush up on my science too! This is one of the biggest books I have seen in the bookshop. 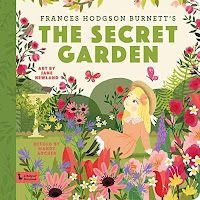 And I have flicked through it's pages and can definitely say that the striking graphic style of the illustrations in this book are stunning! The retro style and bold typography absolutely has me desperate to add this to our bookshelf (although it's too big to fit on the shelf so it will need to have a special home!). It feels like every single kidsbookstagrammer has this book already. And they all love it. And to be honest that's enough to sell it to me as I value their opinions so much. But if it's not enough to sell it to you here's a bit more detail. CJ begins his weekly bus journey around the city with disappointment and dissatisfaction, wondering why he and his family can't drive a car like his friends. Through energy and encouragement, CJ's nana helps him see the beauty and fun in their routine. Packed full of beautiful illustrations of people for different backgrounds and ethnicities I think this is a must have for a diverse bookshelf. 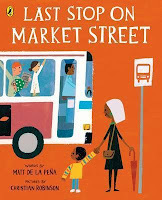 Exploring themes of urban life with honesty, interest and gratitude I think this is a must have for an intentional bookshelf (a bookshelf full of books that share important values). 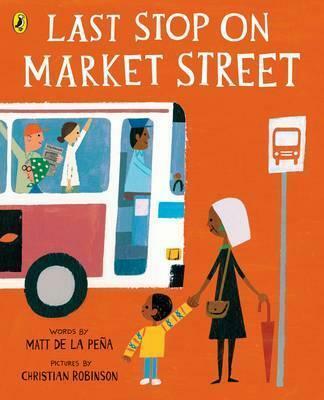 Also, Last Stop on Market Street has won multiple awards and spent time at the number one spot in the New York Times Bestseller List. I love the BabyLit books that we have but they are all primers of basic vocabulary and BookBairn is beginning to outgrow them as she wants a bit more from a book now than just words. And I really want to introduce her to the stories I loved growing up. 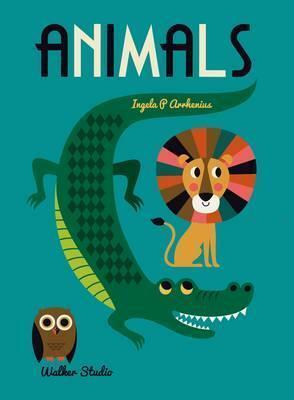 BabyLit Storybooks give classics new life for the next generation of early readers. I have no doubt that we will end up with the whole collection of these books! But I want to start with this one as it's one of my favourites! And Pride and Prejudice too! I hope that you enjoyed seeing some of our wish list. 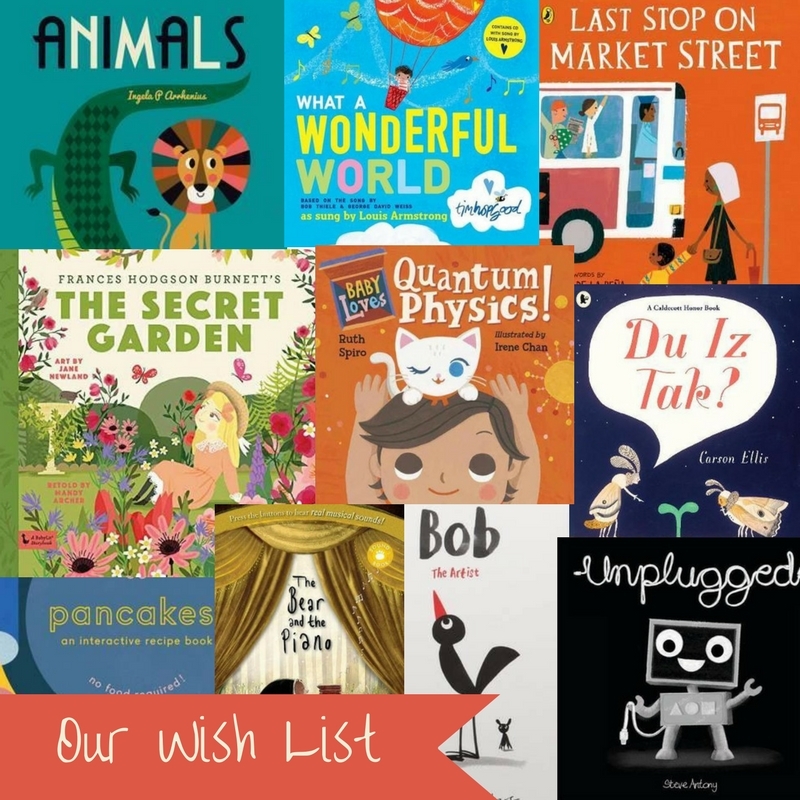 As you can imagine our house is pretty packed full with books but there's always a few more on our wish list. And, like you, we can't possibly justify buying them all. But maybe our budget could stretch to these beauties? Wow! 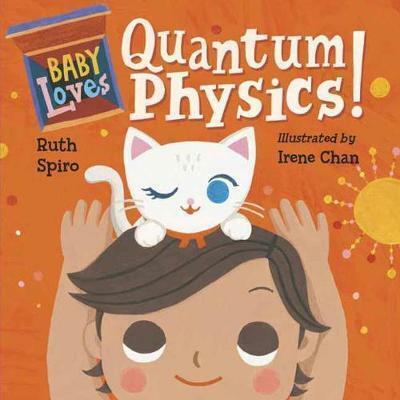 What a title - “Baby Loves Quantum Physics”. Never mind teaching BookBairn about waves, I can’t wait to get into wave-particle duality with her or the real Schrodinger’s cat which is a thought experiment about a cat that can simultaneously be both alive and dead. Maybe I’ll be able to show her how to solve Schrodinger’s equation using partial differentials or maybe we’ll just read some of these wonderful books together. I'm sure she will be thrilled!